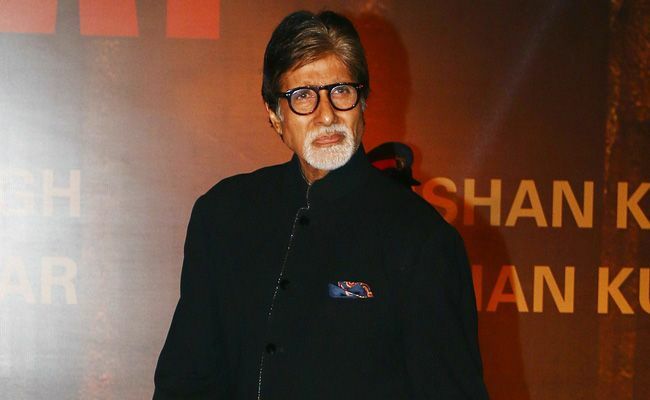 Amitabh Bachchan wrote that he has no time to attend to the abuses or trolls online. Celebrities are under the constant radar of social media and often become the subject of online trolling. But Amitabh Bachchan has no time to attend to the abuses or trolls online. Mr Bachchan rather finds it reasonable to spend time for work and his fans, who he regards as his "extended family (Ef)". On his blog, the 75-year-old actor wrote, "A concerned Ef warns me of extensive 'trolls' on the platforms and warns me to be discreet and attentive to what I may say on social media, for the ugliness of the disreputable, affects him, and he urges me to be of care. " Mr Bachchan also mentioned that he is aware of what goes in and around social media but he purposely chooses to avoid negative criticism. "Yes I care .. yes I know of the abuse .. and yes I wish they be of greater intensity towards me .. for then it forms an unattainable mind set for even greater achieving .. attention given to such translates into what the troller actually wanted - NOTICE .. and the Ef has fallen into the trap .. pity," the actor added. The 102 Not Out actor said that he actually loves the online criticism since it "provokes" him to get better. "I love it .. actually .. for it provokes me to betterment .. provokes me to get bigger and vastly improve myself, my demeanour, my standing , my dignity .. these titles are the end result of any life .. if the abuse leads me to this .. I am grateful to them .. do more .. for it drives me better and longer with better enlightened mind," Mr Bachchan wrote on his blog. On the work front, Amitabh Bachchan last featured in 102 Not Out with Rishi Kapoor which is an unconventional story about a father and son bonding. Amitabh plays the 102-year-old father whereas Rishi Kapoor is his 75-year-old son. Amitabh Bachchan will also be seen in Ayan Mukerji-directed Brahmastra, which stars Ranbir Kapoor and Alia Bhatt. One of the year's most anticipated films, Thugs of Hindostan, will also see the actor share screen space with Aamir Khan and Katrina Kaif.